The Westside Quilters Guild (WQG) embarked on a multi-year project in late 2013 to create a quilt barn trail in Oregon's Washington County/ Tualatin Valley. Quilt barn trails consist of large painted quilt blocks mounted on barns or buildings. Our blocks are mounted on barns and non-residential buildings outside the Washington County Urban Growth Boundary, with a small number of blocks inside the city limits of towns that allowed them. In 2019, we reached our goal of installing 60 blocks throughout the county. All blocks are hand-painted, 8 ft or 4 ft-square quilt blocks, made using high quality materials for longevity. Our trail highlights the county's agricultural and historical heritage, promotes area tourism, provides public art in unexpected places, and showcases the art of quilting. Brochures and maps are available in visitor centers, libraries and other locations, as well as online. 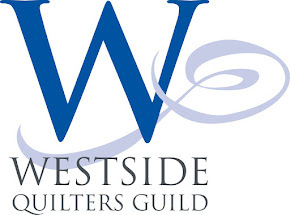 Funding for our trail was provided by Westside Quilters Guild, grants, sponsors and donations. No public money has been spent on our trail. Oregon residents and visitors use our maps to navigate the trail. Our blocks are located on established trails such as bike, wine and lavender trails and scenic routes with high visibility. In 2016, Westside Quilters Guild/ Quilt Barn Trail was honored to receive the Annual Thomas M. Brian Award for "Leadership in Tourism" awarded by the Washington County Visitors Association. Currently, our emphasis is to promote "traveling the trail" using maps with specific directions for viewing all 60 blocks within Washington County. To increase your enjoyment, make sure to read the "story" of each block included in this information. Happy Trails! I have been wanting a quiltblock for our 1900 circa old barn located at 8840 SW Hillsboro Hwy. Vanderschuere farm. Is this a possibility? Melissa Olds. I absolutely love these.i would like to get one my family and I are on a fixed income and expenses are tight I'm a mother of 7 children and a wife. My family and I live if philomath.or and have a big barn to put one . Thank you for your interest in the Quilt Barn Trail of Oregon's Washington County. Our project is limited to locations within Washington County. I'm unaware of a trail in your Benton County. Thanks for your interest.